Congrats MD! I'm happy for your progress! Keep it up bro. Slowly and surely, we will all escape the rat race together! Thank you for sharing my friend and DON'T STOP. Cheers! Hi MD, a great month! 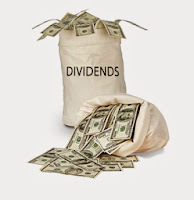 I should calculate how much dividend I received so far just for fun. It's a cool idea. 18,555$ is super great! It's a year of savings for free! Keep doing what your doing. Like dividend hustler said, we'll all retire young and rich! Salut Alain! Yeah it's amazing to see the amount of dividends I collected so far. it's small amounts each month, but it compounds quickly. Thanks for commenting. Let's keep going! Great Job MD! That is very similar to my monthly amount! $400+ sans travailler...c'est impressionant! Laches-pas!